As frequent readers of the DOG Aviation Blog may have noticed, the baffle project has stalled out a bit ... I hit a roadblock while preparing to delve into the wiring. It is not going to derail the instillation but there will be a parts delay. I’ll post more about that in a separate post in the next day or two. One of the things I had been putting off through the winter months was making a trip to the FAA’s FSDO (Flight Standards District Office) to obtain a repairman certificate. The repairman certificate allows the annual condition inspections required by the FAA to be performed by me. Often times the repairman certificate can be applied for at the time of the airworthiness inspection. However, in my area, the FAA has split the duties between MIDO (Manufacturing Inspection District Office) and FSDO …. where MIDO inspects newly constructed aircraft and issues the airworthiness certificate and the FSDO issues the repairman certificate. A huge benefit of building an experimental airplane (special airworthiness certificate) versus purchasing a certificated airplane such as a Piper or Cessna (standard airworthiness certificate) is that the FAA allows the builder of an experimental airplane to perform the mandated annual condition inspections … but ONLY IF the builder applies for the repairman certificate and can prove 51% or more of the work constructing the aircraft was done by the builder. Owners of standard airworthiness certificated aircraft (such as a Piper or Cessna, ect.) are not allowed to perform the FAA mandated annual condition inspection … they MUST use a FAA licensed aircraft inspector to perform the annual condition inspection. 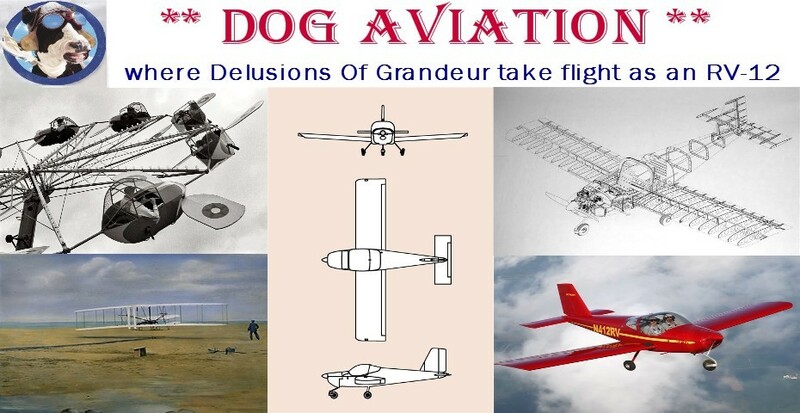 For the benefit of the non-aviation reader viewing the DOG Aviation Blog, here is a quick synopsis of the rules for experimental amateur built aircraft (E-AB). During the certification process, the builder MUST PROVE to the FAA beyond a shadow of a doubt that over 51% of the airplane was built by the builder. The 51% rule applies to all E-AB airplanes … which the FAA allows to be constructed by individuals as a “recreational and educational experience”. The reasoning behind the 51% rule for E-AB aircraft is so aircraft kits can’t be professionally assembled as a cottage industry then sold to the general public and also so individuals can’t pay to have others assemble the aircraft for them. Upon receiving the special airworthiness certificate for an E-AB aircraft, the builder can then apply for a repairman certificate which allows the builder to perform the annual condition inspections required by the FAA … but ONLY on the specific experimental aircraft the builder constructed. Also worthy of noting, at no time can a person other than the original builder of an E-AB aircraft apply for a repairman certificate for that experimental aircraft. One of the many reasons for establishing the DOG Aviation Blog was to have a method of documenting the building activities so the FAA could look at the Blog and see many hundreds of photos with me in them performing various stages of assembly on the RV-12 accompanied with an in depth write-up of the building process. This proved useful during the certification process and once again last week when I applied for a repairman certificate. So armed with the DOG Aviation Blog, my builder’s log book, a binder with hundreds of photos with me in each photo and the 8610-2 application form for the repairman certificate … a trip was made to the FSDO to yet again prove to the FAA that over 51% of the RV-12’s construction was done by myself. During the initial phone conversation with the FAA to schedule the interview, we discussed the documentation the inspector expected me to provide. At that time, I mentioned the DOG Aviation Blog and passed along the WEB address of the Blog so the inspector could peruse the Blog prior to my appointment. The day of the appointment I was met by two FAA employees ... while walking into the conference room, I casually asked if they had taken a look at the DOG Aviation Blog and was told “Yes! and there is no question about it, you built the airplane”. So my tip to fellow builders would be: Consider establishing an online Blog or builder log containing plenty of photos showing you performing the various phases of construction and parts fabrication. Of course, it is also in the builder’s best interest to keep a hand written builder log for the inspectors to peruse. My hand written builder log is brief, just showing the date, which parts were assembled or prepared during each work session and time spent working, whereas, the DOG Aviation Blog contains a very detailed synopsis of each work session. Since there were no doubts about my qualifying for the repairman certificate under the 51% rule, the interview became more of pleasant meeting to verify that the paperwork was filled out correctly and to discuss the quality of Van’s plans and components. Because the inspectors had taken a good look at the DOG Aviation Blog, not a lot of time was spent looking at the hand written builder log. However, the hundreds of photos I brought were looked at with great interest… as it turns out, one of the gentleman is giving some serious thought to building a Van’s airplane. So he was very interested in the assembly process/instructions and the various models Van’s manufactures. An hour later, I left the FSDO with a temporary repairmen certificate in hand. As it turned out the day I visited the FSDO was also my birthday, so receiving the coveted repairmen certificate was one of the best birthday presents ever. Another monumental day at DOG Aviation and good reason to smile. In my hand is a temporary issuance of the coveted repairman certificate. The repairman certificate will allow me to perform the annual condition inspections on the DOG Aviation RV-12.